It’s a new trend in hospitality, luxury you can’t see but certainly feel. It’s a mix of tangible and intangible, visible and invisible at the same time, a rare quality that has brought repeated awards to Echo Valley Ranch & Spa. 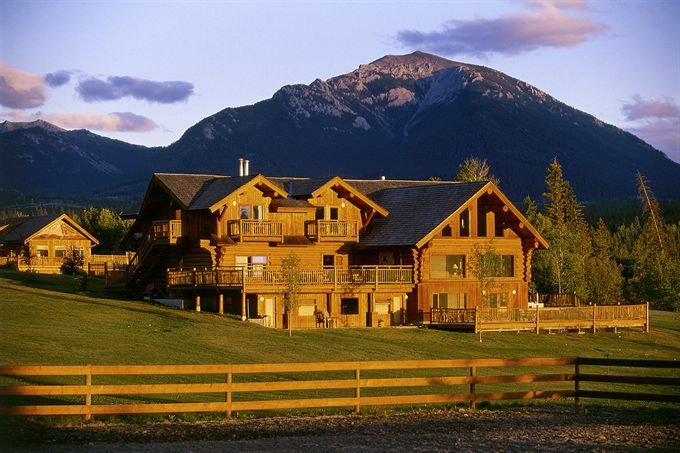 Recently, the ranch garnered Tripadvisor’s Travelers’ Choice Awards: #1 Small Hotel and #1 Hotel for Service in all of Canada and they wanted Ranchweb.com to hear all the details. 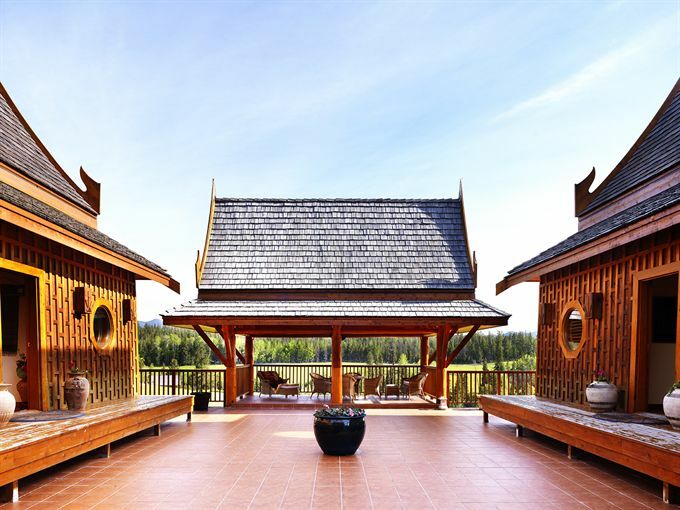 It is, in part due to this new trend that this British Columbia guest ranch earned these awards – both Canada wide – by the world’s largest travel site, TripAdvisor. These prestigious distinctions are especially meaningful since they were awarded in the Travelers’ Choice category. Over 180 reviews written by its satisfied guests to date indicate clearly that Echo Valley Ranch is doing something right. Coming to Echo Valley is truly a vacation from all the artificial aspects of modern life. “We grow much of our own food, every building on the property has been placed in relation to the others, and the views are amazing. But it’s the intangibles that pull everything together. Echo Valley Ranch & Spa is located in the Cariboo region of British Columbia, at the foot of the Marble Mountain range, about a 40-minute-flight from Vancouver. Guests can enjoy horseback riding, wilderness hikes, a luxury Thai spa, fly-fishing, gold panning and wildlife safaris. Owner Dove says the ranch’s remote location is another draw, but its unique “sense of place” is the key to the extraordinary TripAdvisor guest satisfaction response. Dining becomes an experience at Echo Valley Ranch & Spa as all guests come together to eat “family style” in our main living and dining room. That gives everybody a platform to chat with other guests, Norm & Nan or staff members – it’s the ideal opportunity to share thoughts about the adventures and experiences of the day. Echo Valley is a Canada ranch that believes in the “eat fresh and eat local” ethos. Consequently, Echo Valley Ranch and Spa grows and produces much of its own food, which our Master Chef turns into a variety of healthy, gourmet meals. 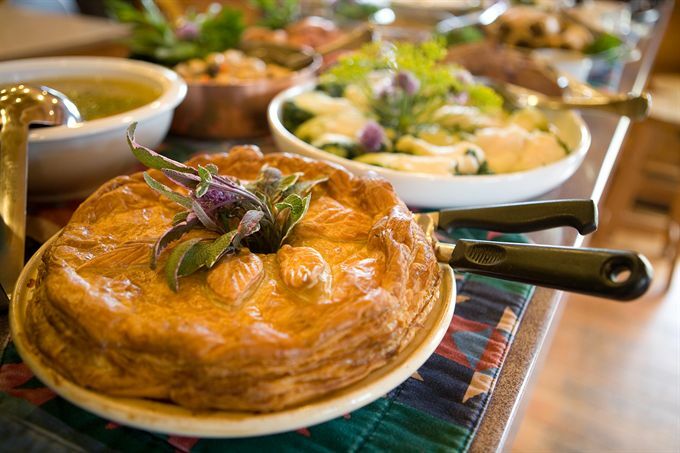 The ranch cuisine at Echo Valley Ranch and Spa is just as culturally diverse as its buildings. Ranch cuisine at this unique Canada ranch will range from western-style BBQ cookouts to wholesome soups, intriguing salads, home-baked breads and many house specialties that change with the season. Special diets are easily accommodated and life-style dishes such as Eat for Your Blood Type are often incorporated into the menu plan. There’s even a specialty Thai Night where authentic Thai dishes sizzle alongside Thai entertainment. Bet this isn’t the ranch cuisine you were expecting on your Canada ranch vacation. And they serve a fine selection of beers and wine. On the Echo Valley Ranch and Spa grounds, an organic vegetable garden grows a variety of fresh produce such as berries, mushrooms, vegetables and seasonal fruits, and the herb garden is an aromatic pleasure to explore. Check out the vegetables stored in the large root cellar and what’s new in the ranch resort greenhouse before it is prepared into delicious ranch cuisine. In addition to raising its own cattle, pigs, turkeys and chickens right on the ranch, Echo Valley sources other products such as artisan cheeses from nearby farms as well as fresh-caught seafood from Oceanwise suppliers in Vancouver. All therapists are trained by Thailand’s Ministry of Health – that is why the ranch is able to offer very authentic Thai Spa treatments. The western and eastern staff have been working together for so long its a family now. It’s about Thai and Canadian food and Spas with their different treatments. Indeed, their “Baan Thai Spa” is a work of the personal architect of the King of Thailand, Dr. Pinyo Suwankiri. He loved Echo Valley so much that he just wanted it to be there. And all this is located on a ranch in the Cariboo wilderness. Just another amazing part of the world of Ranchweb.com members. Details: Echo Valley Ranch & Spa is open April-October, December, January and can handle 40-50 guests. Set in ‘cowboy country” above the Fraser River in BC’s scenic Cariboo Region, the ranch is one hour west of Clinton, BC and a scenic 5.5 hour drive north of Vancouver. Minimum two night stay, rates start at $210 per night.